We understand, above all else, our clients are our most important assets. Our focus is complete attentiveness to our clients. 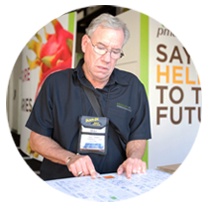 Our goal is to provide solutions for the challenges that face exhibitors on the trade show floor. With unparalleled customer service, excellent communication, and outstanding attention to detail, we will exceed the expectations of our clients, while keeping a cost effective focus on their installation and dismantle (I&D) requirements. 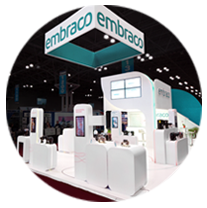 Contact us for a quote on trade show exhibit installation and dismantle services. 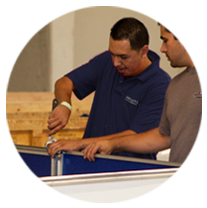 Absolute Installation & Dismantle offers supervised labor resources for set-up and take-down of client owned exhibits at trade shows, for corporate programs, and on consumer road tours. With a team of young, energetic union members, base offices in southern California (Los Angeles, Anaheim, Long Beach, San Diego), Las Vegas, Chicago, and Orlando, and union contracts in ten major convention venue cities, Absolute Installation & Dismantle can service client needs throughout the United States. We fly lead personnel to wherever our clients need services – and you can be assured of a quality job whether the venue is the Las Vegas Convention Center, the Chicago Mercantile Board, or a dude ranch in Colorado Springs. The distinguishing mark of the Absolute Installation & Dismantle program is the pro-active training of our supervisory staff to always remain a step ahead of the rules and regulations that govern our labor pool, as well as the sites of installation. Additionally, supervisory teams are assigned by account to assure familiarity with exhibit properties and client’s individual needs.